Scottish producer Gary Beck has skipped over on his own “BEK Audio” in favor of Alan Fitzpatrick’s “We Are The Brave” imprint. And with good reason, for “Just One More” is the tenth release on the label, which can definitely be considered a (small) milestone. With this festive release, Beck has definitely delivered and he makes us look forward to more great WATB releases to come. “Just One More” kicks off the EP in true Gary Beck fashion with the use of sweeping pads and substantial percussion. Ecstatic vocal chants break up the repetitive, but massive, melodic portion of the track and truly bring it to life. The production is sublime in its simplicity and will keep you hooked from beginning to end. “Round My Place” is more or less a modern take on “Round Your Place”, which was released on Drumcode in 2011. Just like its predecessor, “Round My Place” has a stripped back, industrial vibe, but the execution is more colossal and also more suited for today’s dancefloors. Unfortunately, it’s also quite monotone and it could’ve benefitted from some more (melodic) elements. “Just One More” will be released tomorrow on We Are The Brave. 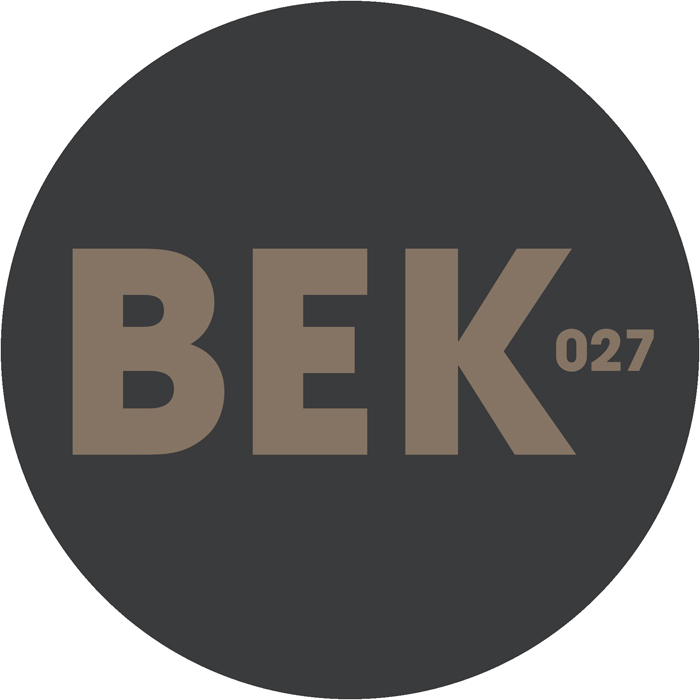 Gary Beck has returned on his own BEK label with a brand new EP. Known as a master of his craft, he has once again created a peak-time techno track that carries his unmistakable signature sound. With a track as strong as this and a solid Floorplan remix on the flipside, it’s very surprising that his EP hasn’t been featured in a lot of sets as of yet. Hopefully this will change in the upcoming week when the record is scheduled for release. “Barefoot Sunday” gets straight to the point and opens with a robust drum loop that instantly makes your feet move. It has been layered with a dissonant synth and a vintage vocal loop that both come and go as the track progresses. On some occasions, Gary leaves us with just the drum loop, showcasing its full potential. Listeners better fasten their seatbelts, for this energetic festival track has no intention of slowing down. Floorplan’s remix takes a bit of an understated approach. It uses a notably softer kick that accentuates the percussive elements and a dominant synth stab (instead of the full riff from the original production). The vintage vocal sections remain unchanged and are also heavily featured in this remix. Combined with additional drum rhythms and a looming pad that emerges during the break, this track is in no way inferior to Gary Beck’s original. The digital release of “Barefoot Sunday” will be released soon on BEK Audio, but the vinyl can be purchased already via Decks. Meanwhile, you can check out the previews on Juno and watch the official “Barefoot Sunday” clip below. Adam Beyer’s first offering ‘Open Up’ opens Part 1, immediately kicking it into high gear with his signature grooves, claps, and unintelligible vocal sample. Dubspeeka has been on fire as of late, so it was inevitable that the track saved for Drumcode would be unstoppable. We have been itching to get ‘Bedlam’ with its unique and distinctive arrangement of metallic stabs and dubbed synth ever since we first heard it played out on Drumcode Radio. ‘Marrow’ is of course already a classic and Gary Beck’s production prowess is clearly evident throughout the entirety of this uplifting track. ‘Lost,’ one of the numerous unreleased productions of Jeremy Olander’s techno alias Dhillon, finally sees a proper release. We can’t wait to hear this song’s deep eeriness played out. Closing things off, Spanish newcomer ‘Dykkon’ shares his track ‘Repulse’ which really impressed us with a simple yet infectious melody, rhythmic percussion, and incredible gnarly stabs. We are very excited about this producer and will be sure to keep a close eye on him. We can’t wait to hear the next 10 productions, so keep it locked for our forthcoming review! Be sure to check out the full tracklisting below, alongside Adam Beyer’s studio mix of the comp celebrating 200 episodes of Drumcode radio. Part 1 is out now on Drumcode! Producer Gary Beck has been busy as of late, running his label Bek Audio and releasing tracks on Cajual, Suara, and Saved. We heard rumblings of a new release from him a few weeks ago, so we asked him a few questions about his upcoming release on the Drumcode A-sides Vol 2 compilation, all things Bek Audio, and what else he’s been up to. Thanks for taking the time to chat with us. The Drumcode community is pretty stoked about the upcoming A-sides compilation, and of course we are excited to see your track ‘Marrow’ finally getting a release. How did this track come to be and where did the name come from? This was something I cooked up in the studio almost half a year ago now, the production process flowed nicely and I was pretty happy with the end result. The reaction on the floor when those snares kick in is always nice to see. As for the name, I think it was just something I noticed on a newspaper at the time. Speaking of your Drumcode tracks, we thought you might also have an EP in the pipeline. How’s it coming? Actually this EP will not be happening, we decided Marrow was the only one suitable for release. There’s a huge buzz right now about your track ‘Smiling.’ Could you tell us about this one? This is a strange one. I made this track specifically as something to drop in my sets occasionally. Adam managed to get hold of it and since then, I haven’t stopped getting requests for it! There are a few things I need to decide first however this track should be available very soon for download. We just watched your recent set from Awakenings and really loved it. What was it like playing there? And how does this compare to playing at someplace like Boiler Room? Slam just released ‘Minor Interruption‘ on your label, Bek Audio, which is pretty huge. How’s the label going? What’s in store for 2014? The label is going really strong now. I have great people working with the label and helping me with the management side of it. Next up is a pretty strong collaboration with Mark Broom. He has been a mainstay on the label and it’s great to have him onboard. I’ve also just completed a 2 tracker with wonderful vocals from Debra Debs. The release is perfect for the summer so we hope to push this one through pretty quickly as well. That vocal release sounds awesome and we can’t wait to hear it. Now for a fun one, what are you favorite headphones to use while traveling? To close things off, what tracks are you listening to at the moment that you are really excited about? I just received the Kink remix of Zinc – Show me. It’s an absolute smasher, I love all his stuff. Also enjoying material from Petter B, NX1 and many others. Thanks again for taking the time to speak with us. ‘Marrow’ is out on Drumcode A-sides Compilation Vol 2 (part 1) June 9. 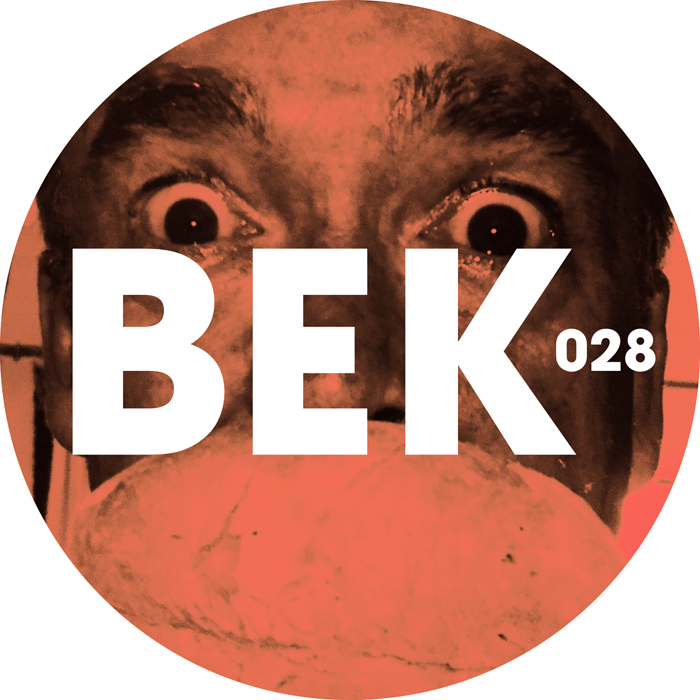 Next up on the label of Gary Beck (BEK Audio) is a two track EP ‘Minor Interruption’ from legendary UK producers/DJs Slam. For over twenty years Slam (Stuart McMillan and Orde Meikle) have pushed boundaries in the Techno scene with their renowned labels Soma and Paragraph, and have worked with some of the biggest artists and performed at major festivals. After most recently remixing Dustin Zahn ‘Calm Like A Bomb’ for Suara, the duo is back with ‘Minor Interruption.’ First appearing last September in Gary Beck’s guestmix for Slam Radio, the title track opens with a hard-hitting bassline alongside neurotic snares leading to a huge build and drop. ‘Rekal,’ our favorite from the EP, closes things off with a more interesting production characterized by a vocal snippet yelling ‘House’ layered over beautifully rhythmic percussion. Check out Slam’s recent mix on their own Slam radio show. Out now on BEK Audio. We are regular listeners of Adam Beyer’s weekly Drumcode podcast, and are always on the lookout for promos and unreleased tracks. First premiered in DCR 175 (Adam Beyer’s set from In:Motion Bristol), Adam Beyer’s remix of Gary Beck’s ‘Say What’ immediately caught our attention. While this remix will be released on Nic and Mark Fanculli’s Saved Records as part of their 100th release compilation, Gary Beck is no stranger to Adam Beyer, as he has released two EPs (and a third is rumored to be forthcoming) on Beyer’s techno label Drumcode. 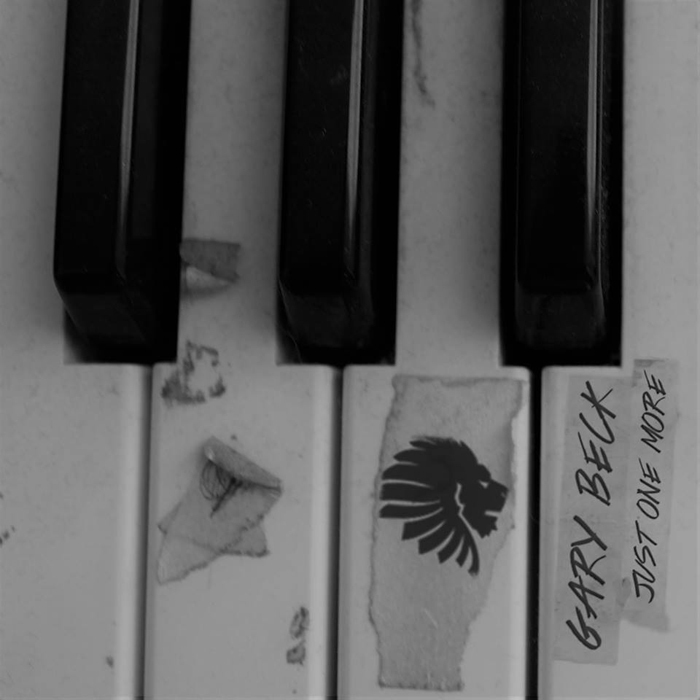 More recently, Gary Beck has been producing tracks for his own label, Bek Audio, along with Coyu’s dance music label Suara. Adam Beyer’s remix of ‘Say What’ breathes new life into this 2010 classic with a signature Adam Beyer industrial bassline and a full warehouse sound. The remix highlights the vocal snippet in the original and translates it into a signature piece of the production, adding a journey to the track as it progresses through nine minutes of gold. We can’t wait to hear this one played out, and for those of you in the states, make sure to see Adam Beyer on one of his upcoming North America tour dates. Out now on Saved Records.